When Apple finally entered the wearable fray last year, I can only imagine that there was a collective sense of fear from smartwatch companies, traditional watch makers and fitness tracker creators everywhere. When Apple does new hardware it usually gets it right. Okay, so it's not cracked this smartwatch business straight off the bat. But we've covered the reports and read what market analysts have to say to know without seeing the (unreleased) official sales figures: its presence in the wearables space is growing and will continue to do so. So how have its rivals reacted? Fitbit, the biggest selling wearable company in 2015, didn't exactly rest on its laurels. It has announced and launched the Blaze and Alta fitness trackers before we've even got to the halfway point in 2016. Samsung scaled things back as it released its bezel rotating Gear S2 smartwatch that's arguably the Korean company's best effort after numerous, and we mean numerous, attempts. So what about Jawbone? A company that here at Wareable we have a lot of time for but seemingly doesn't appear to match Fitbit or Apple for letting the world know about its devices. When's the last time you've seen a Jawbone TV ad? Despite the seeming lack of profile, Jawbone and Fitbit are usually muttered together in the same sentence when people talk fitness trackers. Granted we're only four months into the year, but it's been awfully quiet on the UP front. Maybe the team is working on something big, or maybe it's having to go back to the drawing board as the number of fitness trackers out there seems to grow by the week. Fitbit's early moves were strategic, feeding off that 'new year, new you' mood after the festive binge. It even jumped on the fashion show bandwagon to get the right people talking and wearing its Alta tracker. Could Jawbone get left behind? We hope not. In 2015, we (finally) saw the launch of the UP2, UP3 and the UP4, which introduced mobile payments to the range for the first time. That was in the same month that Apple decided to bring the Watch to the fanboy and fangirl masses. By September, it felt like history was repeating itself. 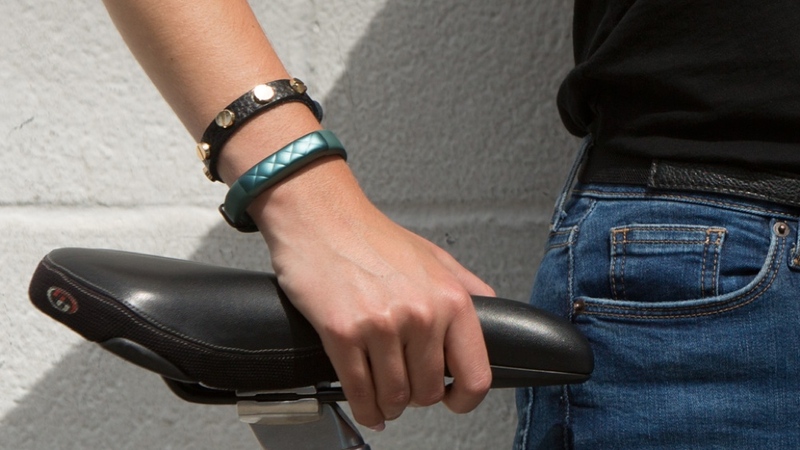 Jawbone unveiled new colour options for its UP2 and UP3 trackers. It also decided to address some of the issues we had with the first versions, tweaking the design of the clasp on the UP3 and entirely change the one on the UP2. When we spoke to Yves Behar, the lead design mind behind the UP family, he claimed that version two was always planned. We're not entirely buying that. "We've found an issue with two specific capacitors in the power system that affects the ability to hold a charge in some of our bands. We're also fixing an issue with syncing related to the band hardware. Typically, these issues surface within the first seven to ten days of use. The glitches are purely performance related and do not pose any safety risk." From a personal perspective, those syncing issues continued with the UP24 as well. It also didn't take long for the removable cap to fall off and go missing. This history of problems are a surefire way to lose trust and Jawbone can't afford to have another hardware mishap like this again. Jawbone's software and its ability to bring meaning and relevance to your data remains the company's greatest asset. Fitbit, Misfit and even Apple can't confidently say that they are doing anything near to what Jawbone has to offer on this front. Helping you sleep more, improve running stamina or showing you the value of eating more healthily - that's valuable. In January, Brian Wilt, Jawbone's head of data science said that he wants future Jawbone tech to compute calorific burn, delve deeper into tracking deep and REM sleep and one day, predict and manage health conditions. So what do we want to see from Jawbone next? We could roll out a list of features we'd want to see just as we could do with a host of other tracker makers. More sensors, waterproofing and spreading the mobile payment love are just a few things that come to mind. But here's what's really important. If there's new hardware on the way, we hope Jawbone proves that it's learnt from the mistakes it has made in the past. After all, this is still one of the best looking fitness trackers out there. Software, as we said, is already in a very good place. We want to see Smart Coach get smarter, sleep analysis to become more insightful and for Jawbone to build on the great job it's already doing on this front.